Welcome to Adam Removalists. We are a family-run Adelaide based business offering affordable and dependable removal services within Adelaide and further afield. So whether you are looking at relocating within the capital or are looking to move within the Adelaide or overseas we are confident that we will be proficient to help you. We are professionals in offering specialized removal services to all of our customers. We are completely insured, which means that we are totally responsible for all your items while they are being transported by us and a quality guarantee is provided to every customer. Your items will be handled with the outmost care. We exact the highest standards in all our work and our moving staff has years of professional knowledge all successfully gathered across numerous office removal and relocation projects. Total Removals are the Adelaide removalists experts and one of the leading moving companies in Australia. Here at Total Removals, we provide an Interstates home removal, furniture removal, office movers services. In most cases we can book your house removal service on the call, however, our qualified Removalists Adelaide team will provide you with extra care. We get ready all plan before the move. We provide you all services 24 hours in a day. Our customer feedback provides you the satisfaction of mind so you can relax and leave the relocate house to us. Complete form with the appropriate details. We will call you back to talk with you to know your requirements. Total Removal Adelaide is a welcoming, family-run firm giving both commercial and domestic, interstate removals services, including door to door services. Our priority is that all of our clients are 100% happy. As such, a large balance of our business comes as a result of references from previous customers. We are glad to give you a free, no obligation quote. A Partner of our team will visit your house or company propositions to carry out an assessment. Call for a free quotation and let's make your next move interesting, for all the right reasons. Simply contact us today at 1800 215 227. Adam Removalists Adelaide provides Professional outstanding team who take care of your packages while loading or unloading Removalists. We provide best customers supreme expertise in removalist Adelaide services. We provide Truck transport facility and reasonable movers Adelaide service as per your requirement. We provide outstanding service and a fantastic comfortable shifting skill with care and at your convenience with our best removalists in Adelaide. Our services include furniture Removalist, Office Removalists, House Removalists, Interstate Removalists Adelaide & Piano Removalists and more. Our trained guys will maintain house packing services without any stress. Our furniture Removalists company is going to save you a lot of your precious time and frustration. Adam Removalists will help you in every step of packing, loading, unloading and doorstep delivery of your expensive goods. Their packing supplies are of excellent so that it ensures maximum protection for your goods. Relocating from Adelaide doesn’t need to be a demanding or exclusive task. For trouble-free and peaceful removalist services in Adelaide there’s only one name you have to to keep in mind – Bright Removalists. Bright Removalists can help you move your office or house, whether you’re shifting nearby or interstate. As one of Adelaide’s leading removalist companies, we are committed to delivering the most careful removals services, exercising the highest in care and caution to give you peace of mind. If you’re searching for a Cheap Removalists Service in Adelaide call Bright Removalists @1800957849. Bright Removalists provides man and van removals, house removals, office removals, piano removals and Furniture removals in Adelaide. Our goal is to provide best removalists services to commercial and residential clients in Adelaide at inexpensive prices. Door 2 Door Movers provides a wide list of moving services to both home and business clients. Select from our full house moving options, relocation assistance, storage services, and even box delivery or packing. We also have a supple working timetable with a same-day removals service decision. We boast a modern, well maintain and frequently serviced fleet of removal vans to house your items and transport them safely to your new place. Both vehicle options for our removals services are able to with tail lifts for a secure and well-organized loading procedure. The moving services are planned to be the wonderful solution when it comes to a move, regardless of size, time, and distance. Our removals company also specialises in moves, which cover all Adelaide. For more information, contact our 24/7 customer care team at your ease. 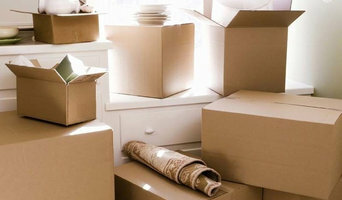 Searching for a safe and reliable home removals service in Adelaide? Look no further! SA Removals is a main, locally based home removal organization giving a quick neighborly services, making moving as tranquil as could be expected under the circumstances. With long periods of expertise in the business, we ensure that your turn will be fast and proficient. Our expert and particular staff are completely guaranteed and can deal with the majority of your removal and relocation needs. We recognise that moving house is not a simple task. If you think of relocation, the safety of belongings comes first into our mind. For safe removal, it is better to hire professionals to do this job. They can give you a stress-free moving experience under your estimated budget. Better Removalists Adelaide will make this relocation easy, quick and stress-free for their customers. We also provide our services in Adelaide and the surrounding suburbs. Let Better Removalists Adelaide help you with your move. We promise you that we will make your move easy and hassle-free as our moving process simple and effective. Visit our website for free quotes or call us @ 1300 766 422. As a leading consultancy Migration Agent Adelaide works with the applicants jointly to secure positive outcome. We help you with the documentation filing and submission of your visa file to the Department of Home Affairs. Right from the beginning to the end our consultants and highly experienced migration agents ensure the entire procedure is trouble-free and the clients get the positive result at the end. We have been interstate removalists in Adelaide for 40 years. We are a family owned and operated moving and storage company servicing Adelaide and interstate destinations. Whether you are moving to Adelaide or moving away from Adelaide to Canberra, Brisbane, Sydney, Melbourne, Newcastle, the Sunshine Coast or anywhere in between you can trust that we will take great care of your possessions and provide an excellent removalist service. Find companies in Prospect, South Australia that provide storage or moving services on Houzz. Scroll through this page to find a home removalist storage solution in your area. Just enter your suburb at the top of this page to narrow your search. Get contact information or message professionals directly so you can ask about rates, and read customer reviews.